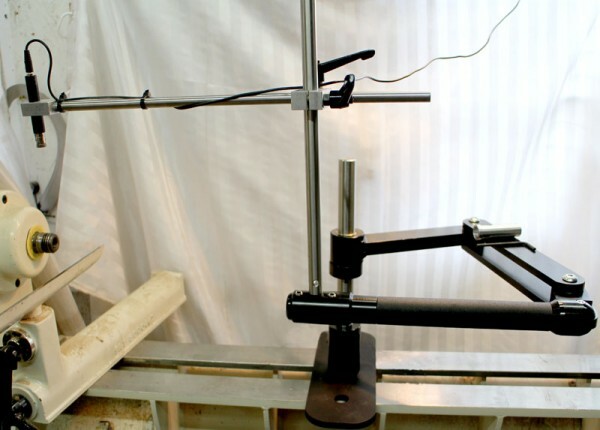 Product information "HOPE easy arm hollowing jig"
Designed to take away the stress of hollow form turning. Will fit on all flat bed lathes with centre height upto 12” (24” swing) Extra clamping plate available for round bed bar lathes such as Record. Standard jig comes with Arm, stem, clamping plate and reducer sleeve. Jig will take 19mm and 16mm round bar tools. Related links to "HOPE easy arm hollowing jig"
Customer evaluation for "HOPE easy arm hollowing jig"
Just made my first vase and the Jig is excellent. I quickly developed confidence cutting inside the vase. Well engineered. Sturdy. Easy to use.